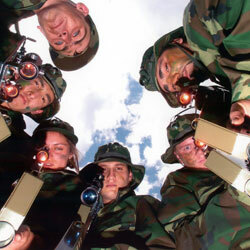 Laser Skirmish CQ specialises in group events such as sports team breakups and other group activities. Come along and challenge yourself and your team mates to exciting scenario games. Our scenarios are all focused on team outcomes rather than the performance of the individual reinforcing the importance of team play. Coaches, managers and Group leaders, if you are looking to promote team bonding and some serious good fun then this is for you.